Discover nature in New Zealand and its unique wildlife that can be found nowhere on earth. Of New Zealand’s species, the korora, or little blue penguin, is the world’s smallest penguin. Find these little birds, when they usually come ashore at night, in the Marlborough Sounds, Akaroa Harbour, Oamaru, Dunedin and Stewart Island. The rare hoiho, or yellow-eyed penguin, is distinguished by its vivid yellow eye band. Find them on the Otago Peninsula, just south of Dunedin and round the Catlins region. 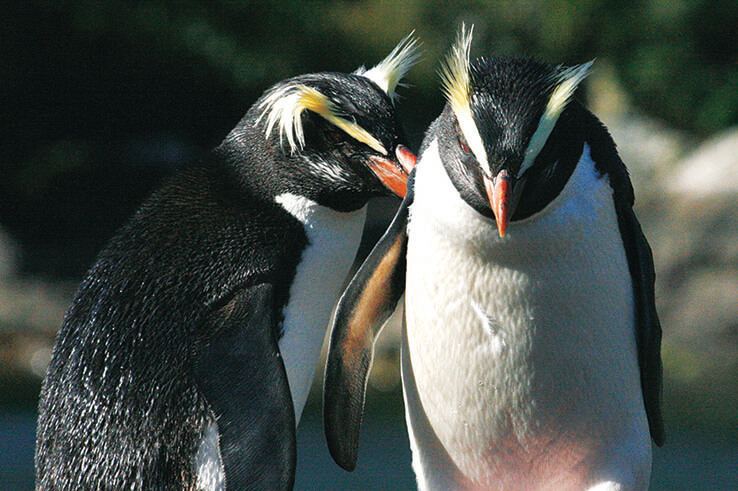 Dunedin is where you can find some of the best wildlife tours, giving you an incredible close-up view of the penguins, sea lions and fur seals in their natural habitat. And lastly, there is the Fiordland Crested Penguin (Tawaki). One of the world’s rarest, this beautiful bird lives on the South Island and is found mainly in the rainforested areas of Haast, Lake Moeraki, Stewart Island and Fiordland. Explore areas around Rotorua, stretching south to the mountains of Tongariro National Park then east to Bay of Plenty’s White Island – an active and accessible volcano island. And watch boiling mud pools and feel the heat underfoot from landscapes that hiss with steam. Walkways around Rotorua and Taupo offer easy access and good geothermal views. And don’t forget to have a relaxing soak in naturally heated water as the perfect end to a day of geothermal adventures.